There’s no doubt that swim spas are a big hit with serious swimmers. But is it worth installing one inground? Here’s our “current” thinking on the subject. Reality Check Time: Is a Pool Worth It? Owning a swimming pool isn’t for everyone. 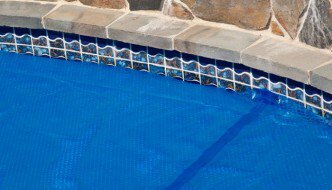 Here’s how to decide whether you’ll get enough value out of a pool to justify the high cost of installation and maintenance. How Much Does a Spool Pool Cost? What’s bigger than a spa, but smaller than a pool? It’s a spool – and it’s great option for people who don’t have the space or budget for a full-sized pool/spa combo. Semi inground pools offer a ton of flexibility. Here are some thoughts on how to make a semi inground pool work for your yard.